Keep your ice cream safe from late night snackers. I’d consider myself an ice cream lover. I’m one of those people who has a pint of Chunky Monkey in my freezer all year round, even in the middle of winter. So when I stumbled upon this new Ben & Jerry’s product, I thought it was way too good not to share. 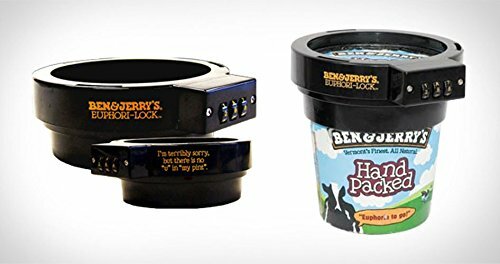 The geniuses at their headquarters have invented the perfect product for those who love ice cream and aren’t willing to share: an ice cream pint combination lock protector. Put this lock on your favorite pint, set a 3-digit combination, and you’re all set. All the ice cream, just for you. 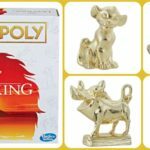 This is perfect for those who live with roommates or family members who like to eat all of your food. 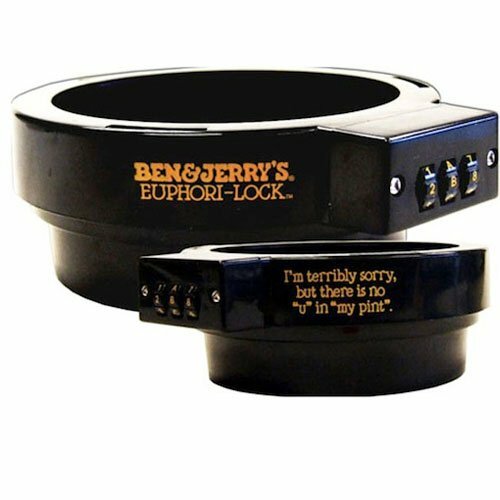 I think Ben & Jerry put it best when they say on the lock: “I’m terribly sorry, but there is no “u” in my “pint”. Now they just need something like this for Girl Scout cookies.